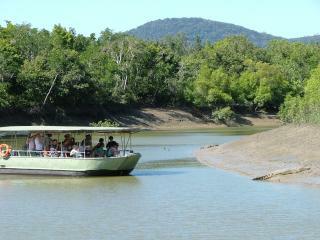 Despite its relaxing and laidback coastal atmosphere, Airlie Beach offers a wide range of attractions. There are plenty of local activities to enjoy and explore however as the gateway to the Great Barrier Reef and the Whitsunday Islands, there are also a fantastic range of day trips, cruises, island hopper tours and more that depart Airlie Beach. The mainland still boasts an outstanding range of attractions for the whole family whether you prefer a more relaxed pace, a taste of adventure or the beauty of the natural environment. 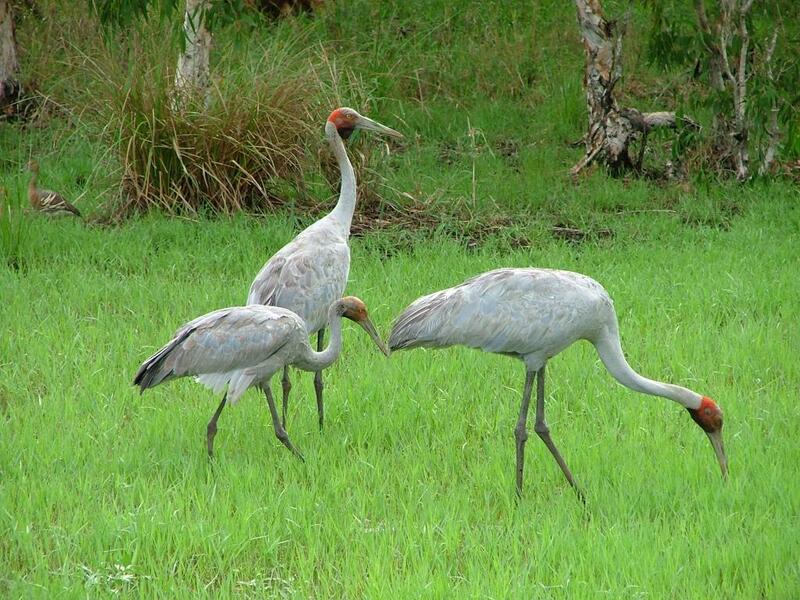 Goorganga Wetlands: Located near the Proserpine River, the Goorganga Wetlands are a well-preserved habitat for native flora and fauna. 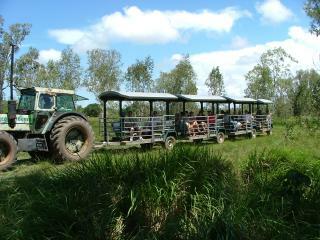 The unique Australian habitats that make up the wetlands include melaleuca forests, marine mangroves, pastures and saltpans which can be explored on an open-air wagon-train tour. Proserpine River: The rich inter-tidal ecosystems and wetlands of the Proserpine River are home to many species of native wildlife including the estuarine crocodiles. 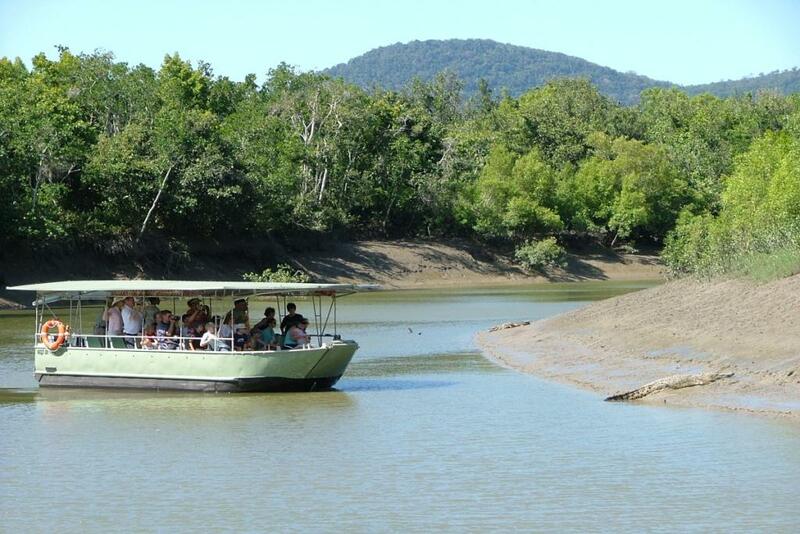 Day trips cruising the river introduce a wide variety of wildlife and allow you to get up close and personal with crocodiles in their natural habitat. Wildlife Park: The Barefoot Bushman's Wildlife Park is an iconic attraction just 8km from Airlie Beach home to the most comprehensive collection of Australian fauna in Queensland. 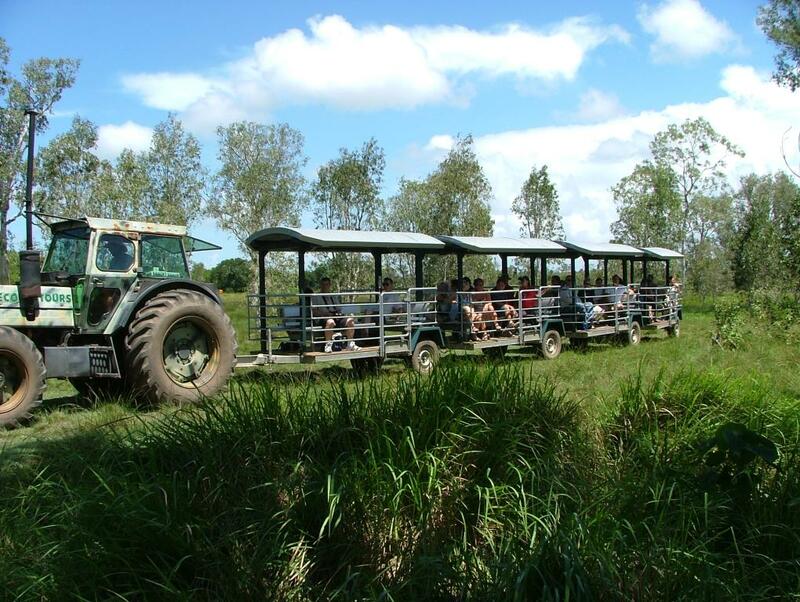 Over 10 acres you will find crocodile pens, 8 open reptile enclosures, water bird displays, small bird aviaries, an owl barn, a cassowary rainforest, nocturnal and koala houses and regular crocodile feeding shows. Whale Watching: Humpback Whales pass by Airlie Beach each year from July to September during their annual migration. Raising their young in the sheltered waters of the Whitsunday Islands and Great Barrier Reef, these amazing tours allow you see these gentle giants up close and at play in their natural habitat. Day Tours: Airlie Beach is jam packed with an exciting range of experiences including skydiving, quad bike adventures, horse-riding, rainforest walks and much more. There are also a large variety of shops, restaurants, pubs and clubs as well as a wonderful range of day trips to the Great Barrier Reef and surrounding Whitsunday Islands. Markets: Community markets are held from 8 am til approximately noon every Saturday along the Airlie Beach Esplanade and foreshore offering fresh local produce, arts and handicrafts, souvenirs, clothing and jewellery, local artists and artwork. The markets are the perfect start to a leisurely day in the sun before enjoying a long lunch.